Lincoln Community Playhouse: As the oldest theater in Lincoln, Nebraska, Lincoln Community Playhouse was in dire need of a renovation. The building was built in 1975 with the addition of the studio theater built in the 1980s. A renovation to the theater's main stage was completed by principal Kevin Clark in 1997. 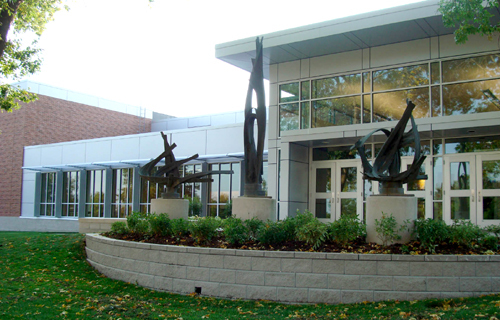 Southwest, North Star, and Southeast High Schools: All commissioned by Lincoln Public Schools, these three projects have given the performing arts programs for Lincoln's high schools the upper edge with state of the art facilities. Southwest and North Star High Schools, which opened in 2002 and 2003 respectively, employ a single design at two different locations and are the newest high schools in the Lincoln Public School system. Each was designed with a 600 seat modified Proscenium stage which includes an orchestra pit which can be converted to extra stage area, tension grid catwalk system, fly loft system, large shop for set production, and dressing rooms. 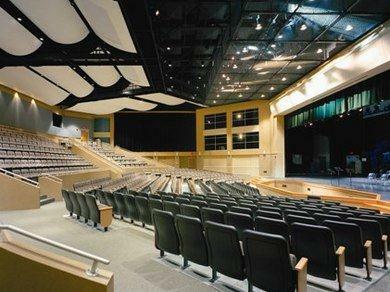 Also included at each school was a black box theater which also functions as the school's technical theater classroom. The interior renovation to Southeast High School's original 1950s theater was completed in 2009. Included in the renovation was the addition of motorized rigging, new lighting, new stage floor, orchestra pit, shop room, tension grid catwalk system, and a balcony. The addition of the balcony allowed for 100 more seats to be added to the theater, increasing capacity to 600. 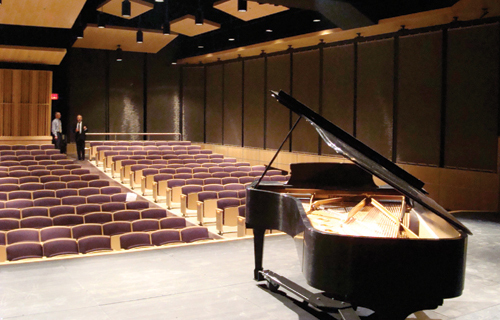 Russel Hall at the University of Northern Iowa: The most recent design work came from the University of Northern Iowa's School of Music, which instructs approximately 90% of Iowa's music teachers. Russel Hall, which houses the School of Music, underwent a renovation to the existing classrooms, offices, and performance hall. An 11,000 square foot addition allowed for new performance classrooms, recording studio, and practice rooms. All of which create a remarkable environment to educate future musicians and teachers. *All projects commissioned and completed while at another firm.